The Dodgers are trained at birth to have better coordination. 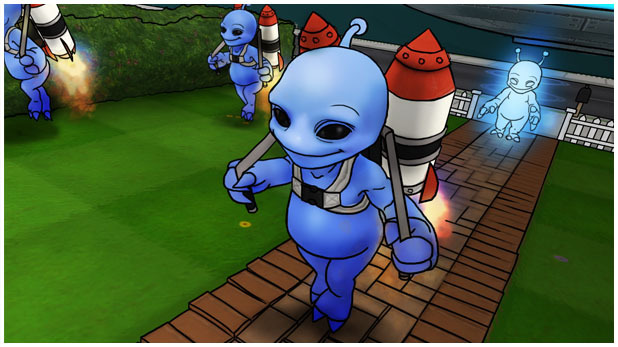 The aliens have a very low top speed, so they have equipped these guys with jetpacks to give them increased mobility. The downside is that Dodgers have a severe fear of heights. Most Dodgers will hover only a few feet above the ground.